There’s a long heritage of traveling marshal bikes for big races. The TT always has a deal that puts its medics and mobile marshals onto big superbikes. And Japan’s Suzuka 8-Hours race has a history of posh marshal machinery, dating back to 1990, when Honda’s mega-tech NR750 first appeared in the pits there. But organisers of this year’s Eppynt road race in Wales have plumped for a more practical set of wheels for its traveling marshal team. 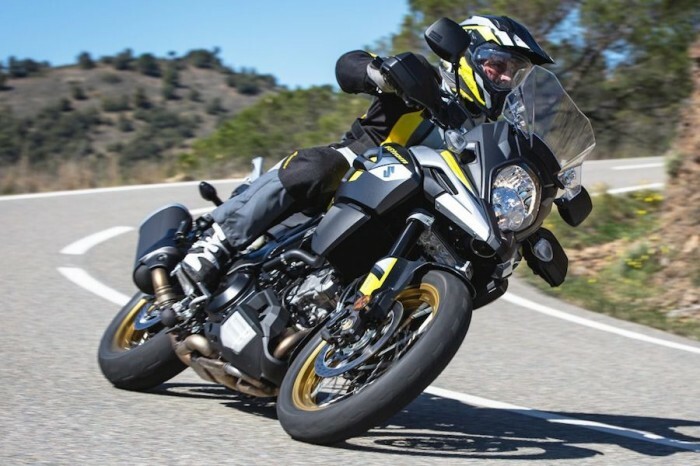 Suzuki GB is supplying eight V-Strom 1000 adventure bikes for the event in August, fully equipped with hard luggage and crash bars. Two will be kitted out with full medical gear for the event doctors, with the other six carrying mobile marshals to keep the race moving. Eppynt is much smaller than the TT of course, so there’s less need for high-speed machinery to get about. The V-Strom’s 100bhp TL1000 engine, in an off-road capable package will probably be more useful on the Welsh countryside too. The Welsh Road Races run from August 3-5th. More info here.